Austin, TX (Janurary 30, 2019) – Camp Nowhere returns to Texas this summer and swings for the fences in its sophomore year. The 2019 lineup features ODESZA, ZHU, Gryffin, and Robotaki with Chelsea Cutler and Ashe rounding-out the fun on select dates. 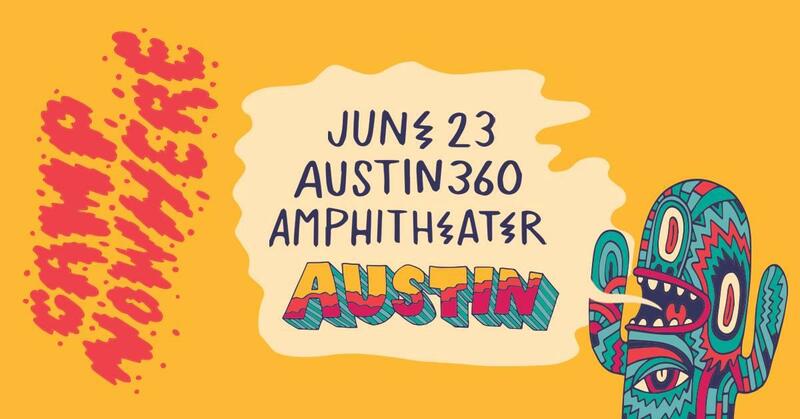 The mini-festival tour kicks off in Houston on Friday, June 21 at NRG Arena before stopping in Dallas Saturday, June 22 at Dos Equis Pavilion with a final stop in Austin June 23 at Austin360 Amphitheater at Circuit of The Americas. Camp Nowhere is a traveling mini festival experience imagined just for Texas. Conceptually the brand is rooted in psychedelic Southwest imagery and themes. 2019 will see the brand take a leap into a more creatively refined direction on both the artistic and fan experience front. 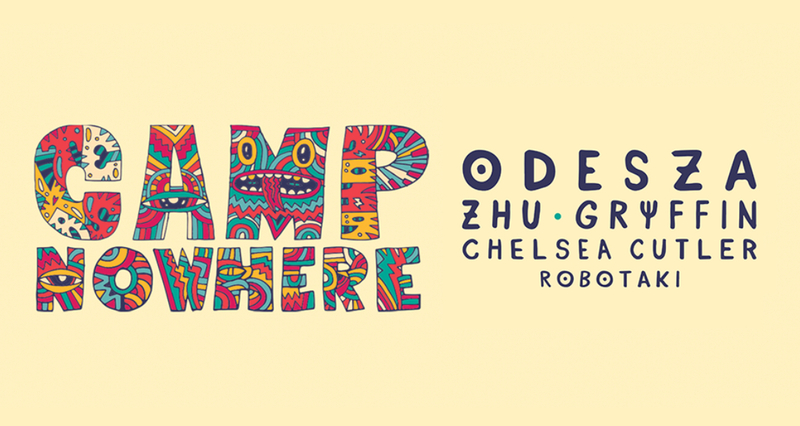 Musically, Camp Nowhere will showcase some of the most exciting artists in the live electronic and pop music space. We cannot wait for you to see what we've been up to. See you at Camp Nowhere! Tickets will be available online at ticketmaster.com or by phone at 1-800-745-3000.